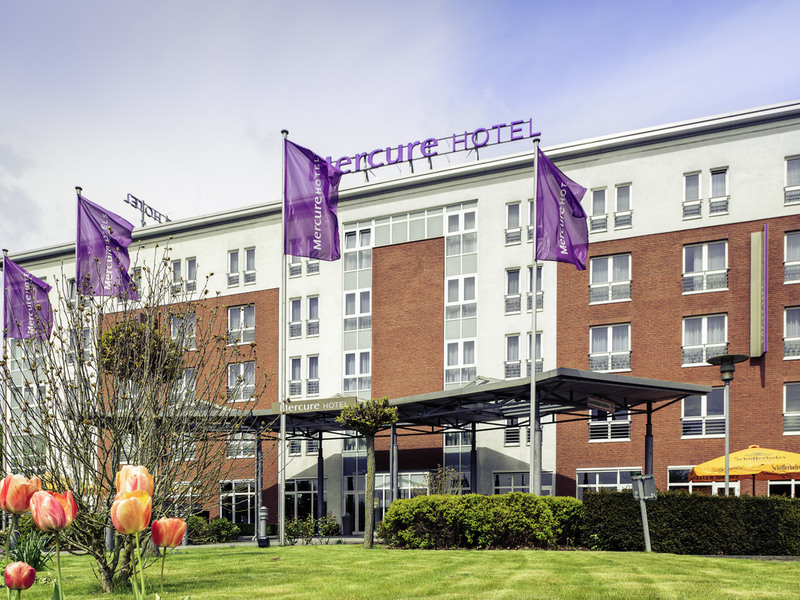 The 4-star Mercure Hotel Kamen Unna is located between the Ruhr cities of Dortmund and Hamm, near the Kamener Kreuz crossroads and Dortmund Airport. Our hotel is perfect for stopovers before and after flights, and as a base for your private or business ve ntures in the Ruhr Valley and Eastern Westphalia. The 104 rooms at the Mercure Hotel Kamen Unna are air-conditioned and offer free WIFI. Kamen and Unna are within the commuting area of Dortmund, and the city of Hamm is also nearby. In your free time, it is well worth visiting the old town of Kamen: A host of charming historical buildings are just waiting to be discovered! 104 rooms, with A/C for a restful night's sleep. Includes a Tassimo Espresso machine, for a good start to the day! Also with a bottle of Gerolsteiner mineral water for your health! 14 air-conditioned meeting rooms with natural light for a successful event! High-speed wi-fi for working on the Internet before and after the seminar! An oasis of comfort in the eastern part of the Ruhr valley: The 4-star Kamen Unna hotel has 94 Standard and Privilege Rooms with adjustable air conditioning. The top-quality features include a desk and free WIFI available round the clock as well as a minibar. You can watch Sky Cinema for free on your flat-screen TV. Travelling with your family? One child up to the age of 12 can stay in their parents' room free of charge. Your pet is also welcome at a charge of EUR 10 per night. Enjoy international specialties prepared fresh by our chefs in the hotel restaurant. You can also eat out on the terrace in the summer. The restaurant is open daily from 6:30am to 10:00pm. In general, the stay was quite pleasant. The front-desk, breakfast, restaurant, and bar staff are awesome. This trip, I had maintenance and cleaning needs that took a couple days each to get resolved. I had a towel bar that kept falling when I tried to hang a towel on it. There were cobwebs along the top of the walls and the walls were in desperate need of a wipe-down to get the dust under control. These were momentary inconveniences that were resolved to my satisfaction. Staff is pleasant and helpful. Rooms are nice. Breakfast buffet is great. Great people. Decent amenities. Nice room. Shower head needs replacement. If you are on the road and you need a nice place to stay overnight, this Mercure is perfect. Close to the Autobahn, but far from the city centre. If you want to go sightseeing, drop this, but if you want a nice, clean and good quality sllep and good food, I recommend this hotel. Nice, polite and serviceminded staff, clean rooms and good beds. Always feeling welcomed by all the staff. excellent service. quality food. great facilities. We arrived at the hotel and everything was perfectly fine. I booked 2 rooms with both 2 beds in it. When we entered the room we found out we had 2 rooms with both only 1 bed in it. We were not happy with this fact because I booked something else. When we went to the front desk to ask if they could change the room they were really not amused but luckily after one hour of talking we finally got 1 other room. I like the rooms, they are very good. but the breakfast is way overprices for what you get. For that price there have to be croissants and other luxury bread. The breakfast in Mercure Hamm is way better then in Kamen. My husband and I have stayed here a few times and we are never disappointed, we have a keen hobbie for reptiles and if there is a show on in Hamm the hotel is very happy for us to have the reptiles stay there. Room very cold, heating in room did not work, staff would not admit problem (suspect damp issue) even though there we blowers in corridors. Nice hotel. Staff friendly and room clean. Food very good. Terrific hotel with good rooms, but they had two seats in a double room. Miss English speaking channels beyond news. Nice bathroom. The restaurant is unfortunately closed on Sundays, but the receptionist ordered Pizza from nearby Pizzeria.